Silly 10-inch wire-eared bunnies to make you smile. 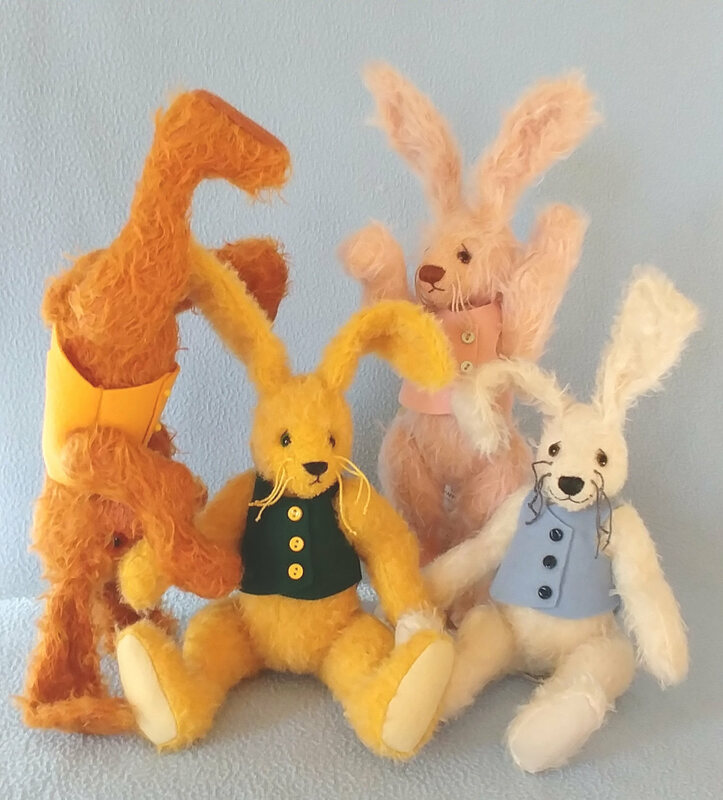 They are made of a variety of mohair fabrics with felt paw pads. Fully jointed & wearing felt wool vests. Open Ed. $149.00 each. Call Bev (610) 873-0407 or the Gallery (540) 371-1894 for more information.